If you’re looking for the perfect family beachside getaway within a short drive of Brooklyn, check out Mystic, CT. 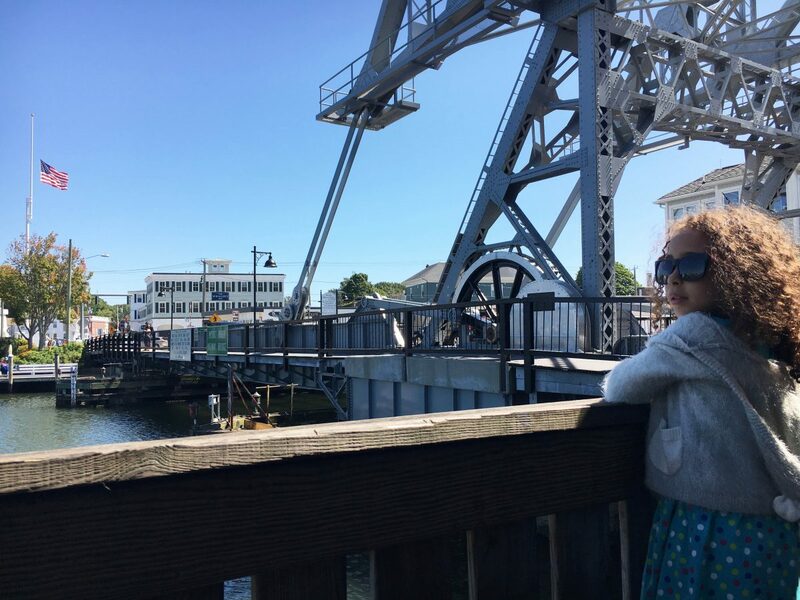 Kids won’t want to miss the Mystic River Bascule Drawbridge. You can catch it opening between May 1st and October 31st twenty minutes before every hour to allow boats to pass through. The best spot to view the bridge is from the side balcony of Mystic Drawbridge Ice Cream, an award-winning shop that has been selling homemade ice cream on premises since the 1800s. 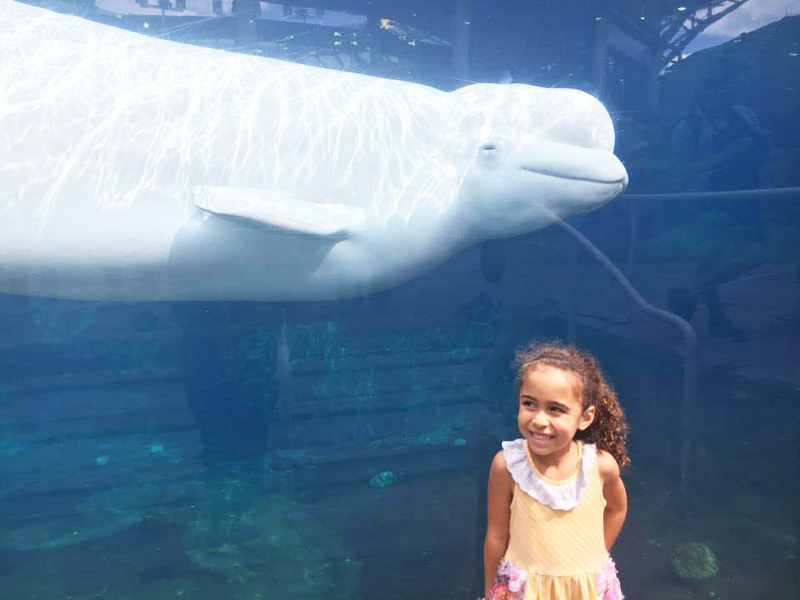 At the Mystic Aquarium, the main attraction is the arctic coast exhibit where you can observe beluga whales swimming right up to porthole windows, seemingly smiling for selfies along with you. Visit the African penguins and pet stingrays at the ray touch pool. There is an indoor sea lion show to beat the heat and a boardwalk that takes you past a marsh full of lily pads, frogs and turtles. There is also a shark encounter tank, where you can pet a small, docile shark. Admission is validated for two more consecutive day trips. Mystic Seaport: The Museum of America and the Sea is a sprawling maritime complex spread across 17 waterfront acres. Set up as a 19th century seafaring village, there are dozens of Colonial-era buildings you can explore that are staffed with historians, storytellers and musicians who help to immersively recreate the past. 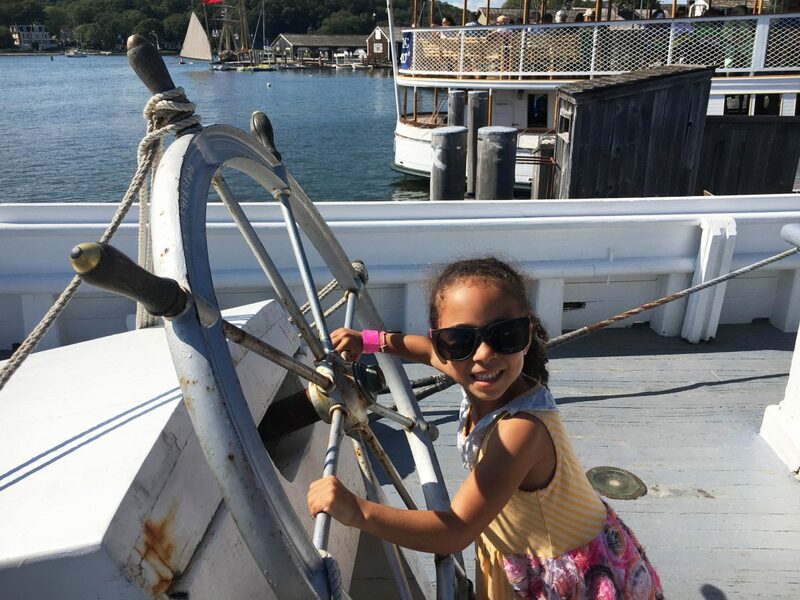 There are several ships on display, including ancient fishing and whaling ships, and plenty of hands-on fun for kids, such as toy boat-making, map lessons, art programs, and story time. Tickets can be validated for re-entry within a week of your original visit. Olde Mistick Village is a modern reconstruction of the quaint storefront shops you might have found in the 1700s. Take a leisurely walk along the tree-lined cobblestone streets or around the duck pond as you browse shops such as Sticky Situations, where you can taste samples of local honey, infused honey, and maple syrup. Directly next door, you can sample flavors of olive oil, vinegar, and fresh pasta at the Extra Virgin Oil Store. If you want an easy spot to walk along the water before heading to dinner, drive about 10 minutes from Mystic to check out Esker Point Beach. It offers a nice stretch of sand and beach volleyball nets. We stopped there on our way to Abbott’s Lobster in the Rough, which serves fresh seafood in every imaginable form. You place your order from a window and scope out a picnic table right along the water’s edge. There is plenty of space for kids to run around while you enjoy the view and a lobster meal (for a fraction of the typical cost). Note: it’s BYOB, and there is a package store on Pearl Street about two blocks away where you can pick up some drinks.